The term ‘misdeal’ is often used to describe a mistake on the part of the dealer in the poker game which results in the cards being dealt in an incorrect manner. 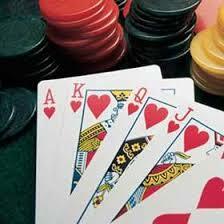 The result of the misdeal is that the cards have to be returned to the dealer for being dealt once again. The cards are first shuffled once more and then a new hand is started, with the players receiving a new set of cards. For the mistake to be caught it is mandatory that it has been recognized and brought to notice prior to more than one player having already made a move. That is to say, the misdeal should be declared before any two of the players have begun to use the cards that they have received. In this article we shall discuss some of the circumstances which are categorized as misdeals in a poker game. One of the primary causes behind a misdeal occurs if the dealer unknowingly reveals two or more than two of the playing cards. Since the cards have to be dealt in secrecy, that is, no player should be aware of the cards being held by another player, revealing the cards can prove to hold up the game. Also another error concerning cards being revealed occurs if the dealer reveals the first or the second card of the deck by wrongly dealing them such that they face upwards on the table. If a player receives an erroneous number of cards, that is to say, more or less than the number decreed per round, it is classified as an error. However, there is an exception to this rule which occurs in case one of the players receives an extra card that turns out to be the highest card in the game. The player is allowed to retain this card only if he or she has been dealt the card in keeping with the proper sequence of dealing. In case the misdeal occurs in the form of a card being handed out to a player out of turn, that is, not in the proper sequence of dealing, the wrongly dealt card can be replaced using the burn card. However, the burn card cannot be used to cover a misdeal if the error in question involves a card being revealed. Another misdeal occurs if two or more than two cards have been dealt as extras. That is, if more than two cards have been dealt in excess at the beginning of the game, and this error is called to attention, it is declared to be a misdeal. Also, if more than one card if found to be in a ‘boxed’ position, which is to say, facing one another, instead of all in one direction, it is said to be a misdeal. Also, in case a player who is entitled to receive a hand is not present at the table, the dealer cannot deal a hand out for him or her as it is considered to be an ‘empty seat’. If the player wishes to be included in the game and will return he or she is expected to leave a blind or an ante. In homegame poker, misdeals occur all of the time, but even at a real casino, you’ll see misdeals happen every once in a while. Accept it, they’re part of the game, unless you’re an online poker blogger!